The PC market may be stabilizing after a rough five years. According to IDC, worldwide laptop and desktop computer sales increased 0.6% year-over-year last quarter, from 59.9 million in 2016 to 60.3 million in 2017. That’s the first quarterly increase on record since 2012. 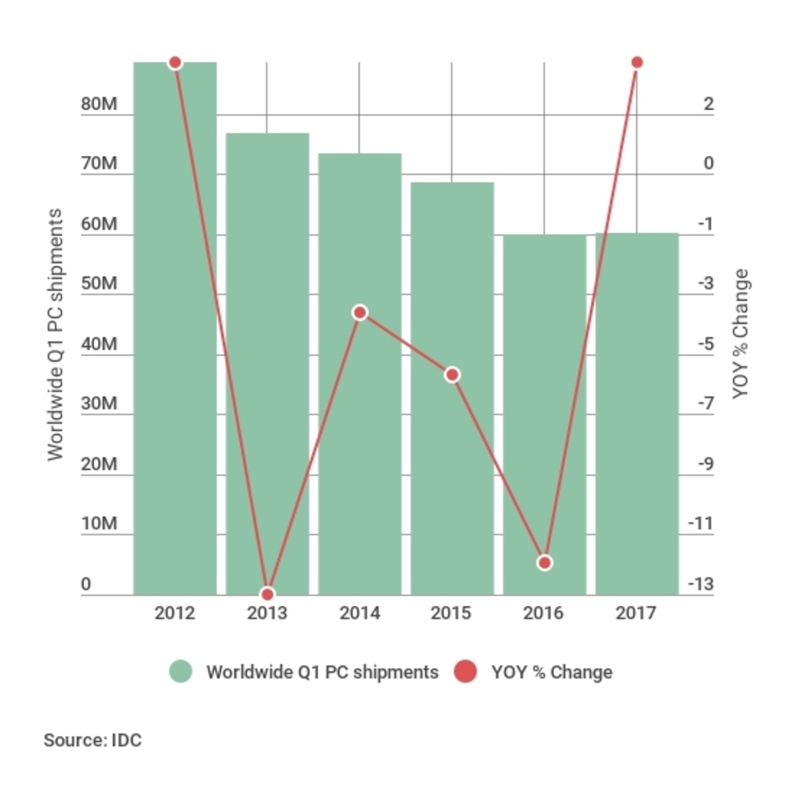 At least in the United States, IDC attributes much of the growth to Chromebooks, which after conquering education are now cracking the market for commercial PCs. (Think point-of-sale systems and field work.) And while IDC doesn’t break down sales by operating system, The Verge notes that Gartner, whose PC shipment estimates don’t include Chromebooks, still showed a 2.4% decline last quarter. With a big consumer Chromebook push looming, perhaps a rebound for the home PC market is next.